The Ursulinian is the yearbook of Ursuline High School in Youngstown, Ohio. Lowry’s have been appearing in the ‘Ursulinian’ for 70 years. 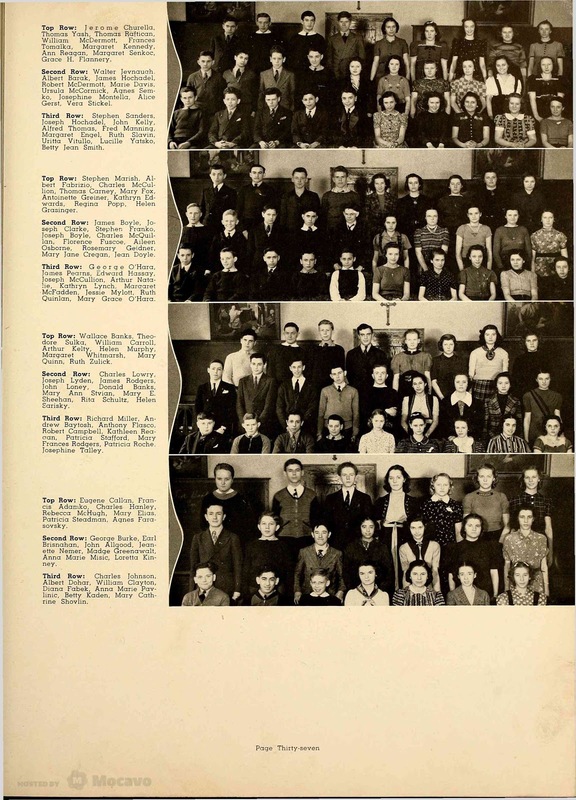 Probably their first appearance was a 1939 class photo. Chuck Lowry (1924 – 2007) was in 9th grade. Can you find him without using the key on the right? 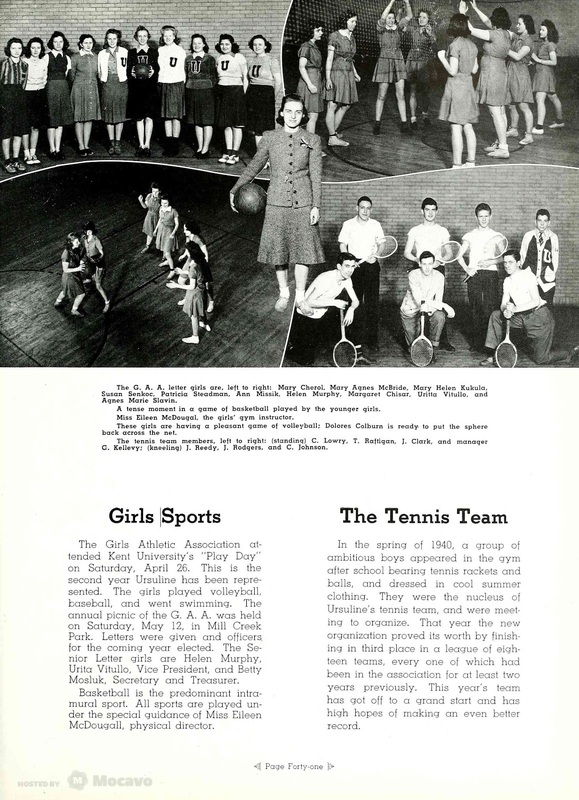 The 1941 Ursulinian featured this tennis team shot, and the yearbook makes it seem that it was Ursuline’s first. Chuck was a tennis phenom and would go on to win accolades across the city for his abilities at the sport. ← Mystery Monday – Who Murdered John A. Witt?